We offer comprehensive training courses to help you to unleash the full potential of our high performance geological modelling and mine optimization tools. Courses are available on both a scheduled and request basis. We provide both in-house and on-site (at client’s site) training courses, as well as web-based remote training. For a Limited Time Only, the training fees below include one month free software license for the product trained. Course details: Training schedules are available for Africa, Brazil, Chile, Turkey and Canada. Please contact us for the details. Located in Ottawa, Canada, ThreeDify ("THREE - DEE - IF - EYE") is a mining software company. 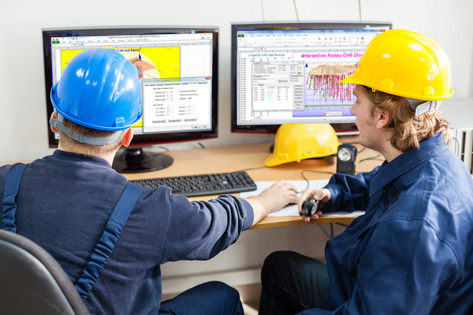 We provide mining software solutions for 3D geological modelling, mine planning, design and scheduling, as well as open pit mine or underground stope optimization. With a suite of innovative and easy-to-use products, ThreeDify offers highly efficient, scalable and cost effective solutions to the increasingly complex geological modelling, mine optimisation and planning challenges. Our mission is to empower our clients with the competitive edge to deliver reliable forecasts and maximize productivity. Get the latest updates on our products.